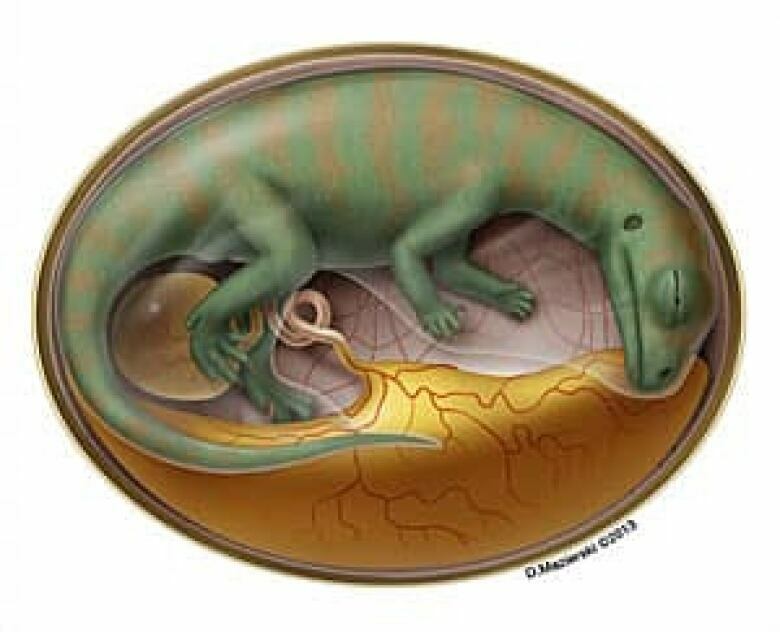 A Canadian-led group of paleontologists is getting a detailed look at how baby dinosaurs developed inside their eggs, by examining an ancient fossil bed full of embryos. 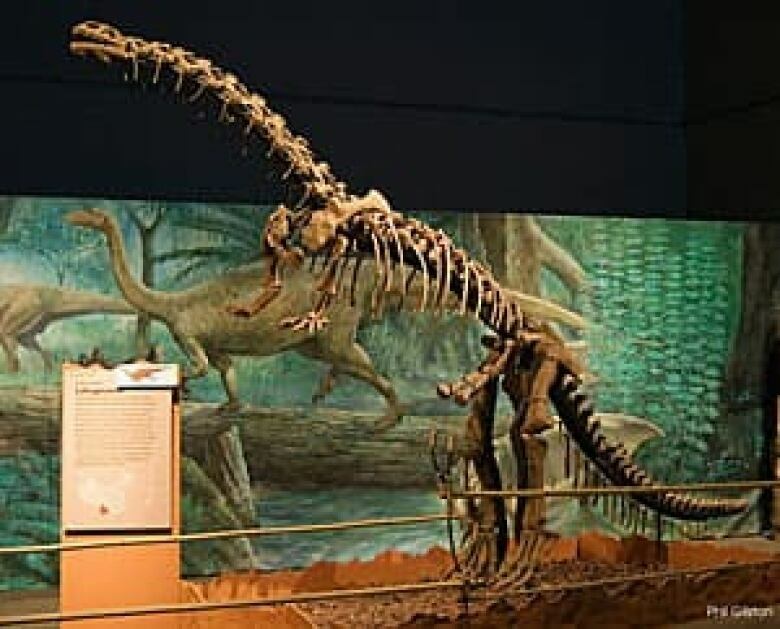 During the Late Jurassic, about 190 million years ago, huge, long-necked plant-eating dinosaurs called Lufengosaurus gathered together at the site in China's Yunnan province to lay clutches of softball-sized eggs, year after year. 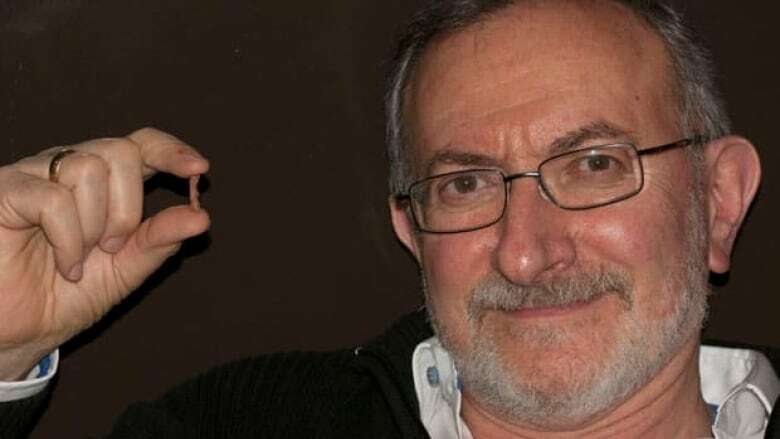 An excavation of the site led by Robert Reisz at the University of Toronto Mississauga has yielded crushed eggshells —the oldest dinosaur eggshells ever found — and 200 tiny bones from at least 20 Lufengosaurus embryos, including some that amazingly still appeared to have some protein attached to them, the researchers reported in the journal Nature this week. Evidence suggests that the tiny dinosaurs moved around inside their eggs. (D. Mazierski/University of Toronto Mississauga)Reisz said it appears that Lufengosaurus chose a nesting site close to a river, probably because the sediments there were moist, and some years the nesting site flooded, smothering the embryos. At the time of the dinosaurs, the area had a tropical climate and was likely prone to monsoons during the wet season. The flooding likely occurred at slightly different times each year over a number of years. "The eggs were caught at different stages of development," Reisz said in an interview. "That's what makes this project really exciting." 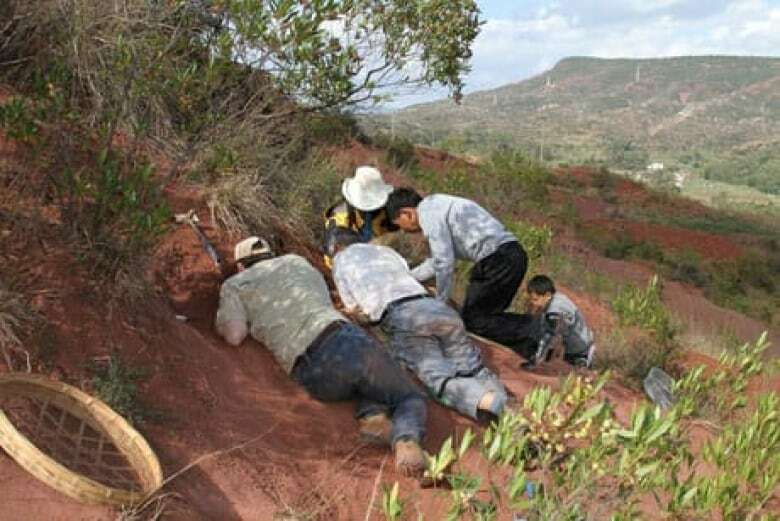 By examining at the thigh bones of embryos of different ages, the researchers could see unusually large cavities for blood vessels and soft tissues, suggesting that they grew faster than other dinosaurs inside their eggs and therefore may have had a shorter incubation period. The researchers could also see that over the course of development, as the thigh bones grew in length from 12 to 22 millimetres, they reshaped by the action of muscles pulling on them. That suggests the embryos moved around inside their eggs as birds do, and similar to the way developing mammals move around inside the womb. Reisz said it's the first time that phenomenon has been documented in a fossil animal. But he thinks the most exciting discovery was the detection of the chemical fingerprint of a protein inside the bones. Taiwanese members of the research team wanted to look for proteins using synchrotron radiation and an infrared spectrometer, a device that looks for the telltale chemical signatures caused by specific molecules absorbing characteristic colours of light. Lufengosaurus could grow to more than nine metres in length. (P. Gilston/University of Toronto Mississauga)Reisz said the bones were so much older than any that had ever yielded any protein before that he was skeptical the Taiwanese researchers would find anything. "Basically, normally, I would not have thought even to try it," he recalled. The protein that was detected is believed likely to be collagen, a common protein found in connective tissues such as bones and tendons. "If this is collagen, then the potential for extracting collagen and comparing to those of living animals really opens a new area of research," Reisz said. In fact, this study represents just the beginning of what the researchers hope to discover from this fossil site. They also plan to examine the anatomy of the eggshells, and use CT scanning to examine the internal structure of the bones in more detail.